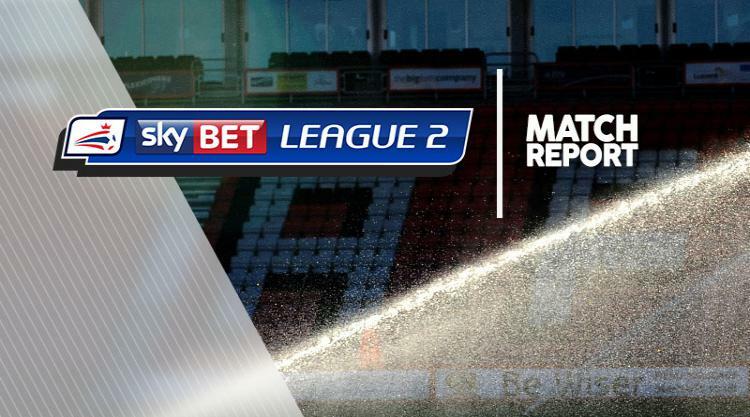 Substitute Kyle Wootton's second-half strike saw Stevenage get back to winning ways with a 2-1 Sky Bet League Two defeat of Morecambe. Matt Godden opened the scoring for the home side, but Steven Old's header levelled the scores 10 minutes before the break. Boro came close through Ronnie Henry's fierce shot across goal at the start of the second half, before Wootton gave them the lead for the second time. Morecambe pushed for an equaliser and nearly got one in injury time, but Vadaine Oliver's header was brilliantly saved by Joe Fryer. Godden had some early sighters and found his shooting boots when Tom Pett's sublime flick fell to the striker, who firmly dispatched his chance. The visitors equalised against the run of play after returning captain Michael Rose's free-kick from the left found Old, whose low header gave Fryer no chance. But Boro regained the lead on 65 minutes after Wootton's twist and well-placed shot slid into the corner, just a minute after replacing Danny Newton.